Kendall Andrew Grose, a physiatrist specializing in Pain Management, and Physical Medicine and Rehabilitation, received his undergraduate degree in Exercise Science/Athletic Training from Brigham Young University in Provo, Utah. Dr. Grose earned his medical degree from Kansas City University of Medicine and Biosciences in Missouri. After medical school, Dr. Grose completed an Internship with Michigan State University at the world-renowned Henry Ford Hospital. 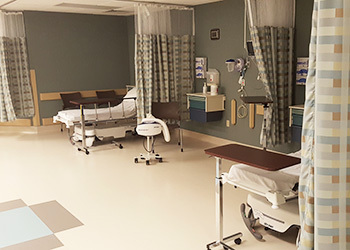 Dr. Grose later completed a residency in Physical Medicine and Rehabilitation with Wayne State University at the Detroit Medical Center where he served as Chief Resident. 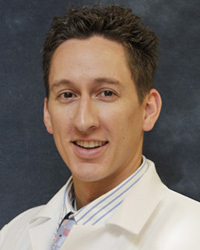 He continued on to complete a fellowship in the Department of Anesthesia in Pain Medicine at the Detroit Medical Center. He is a member of the American Academy of Pain Medicine, American Academy of Physical Medicine and Rehabilitation, American Medical Society for Sports Medicine, and the National Athletic Trainers Association. Dr. Grose’s greatest joys in life are his wife, twin daughters, and son. He is fanatical about mountain sports. Mountain biking and snow skiing occupy as much of his free time as his wife allows.